All presentations will be held at the Salt Lake Plaza Hotel at Temple Square. Conveniently located in the heart of downtown, the Plaza is literally just steps away from Temple Square and other historical sites, shopping, dining, and many arts venues. 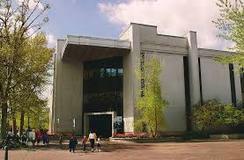 It is also the closest hotel to the Family History Library. 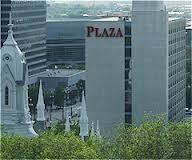 The Plaza is located at 122 West South Temple, directly in front of the Temple Square TRAX stop, accessible from both the green airport and blue downtown lines. 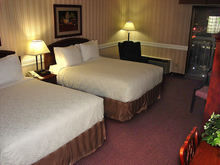 They provide complimentary airport transportation for all lodging guests. The Plaza Hotel offers spacious rooms with microwaves, refrigerators, complimentary wireless internet access, and in-room safes. Their property amenities include a library, public computers, an exercise room, outdoor pool, and indoor jacuzzi. 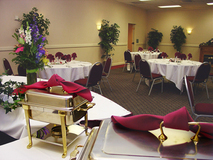 Their on-site restaurant is JB’s, which offers a full menu as well as a breakfast, lunch, and dinner soup and salad bar. These special conference rates are only available by phone and only until July 5, 2018. After that date the regular hotel rates apply. Please call Rich at 801-606-2410 to make your reservation for the rates stated above. Please mention in your reservation that you request the FEEFHS rate (as stated above) if you're attending the conference. If Rich is unavailable make sure the personnel knows you are booking the room because of the conference. Some of the hotel personnel are new. If the person you are talking to does not know the acronym FEEFHS, please state that you mean the Foundation for East European Family History Studies. This will hopefully clear up everything. If there are still problems, please contact us.